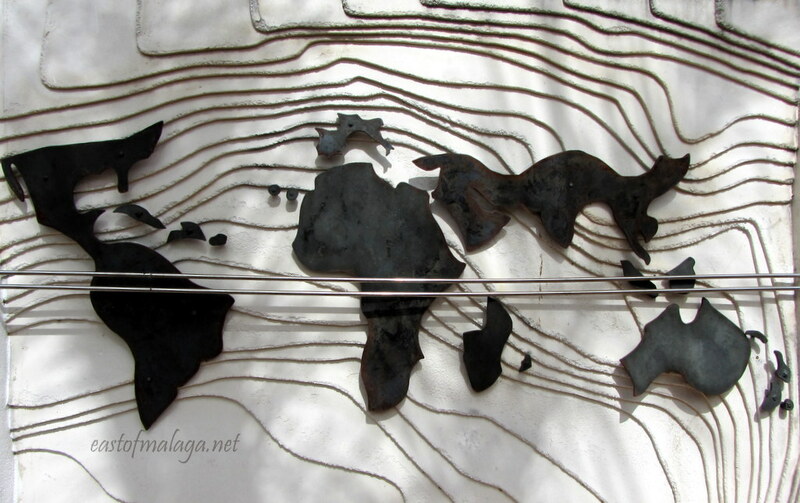 This simple sculpture of a world map (mapa mundi) can be found within the grounds of Málaga´s Botanical Gardens. Being an English expat living in Spain, many things that I once might have considered foreign, have now become the norm. Besides, the concept of “foreign” is all relative, isn´t it? So, here are some things that you might think are foreign, but which are now part of everyday life here in amazing Andalucía! 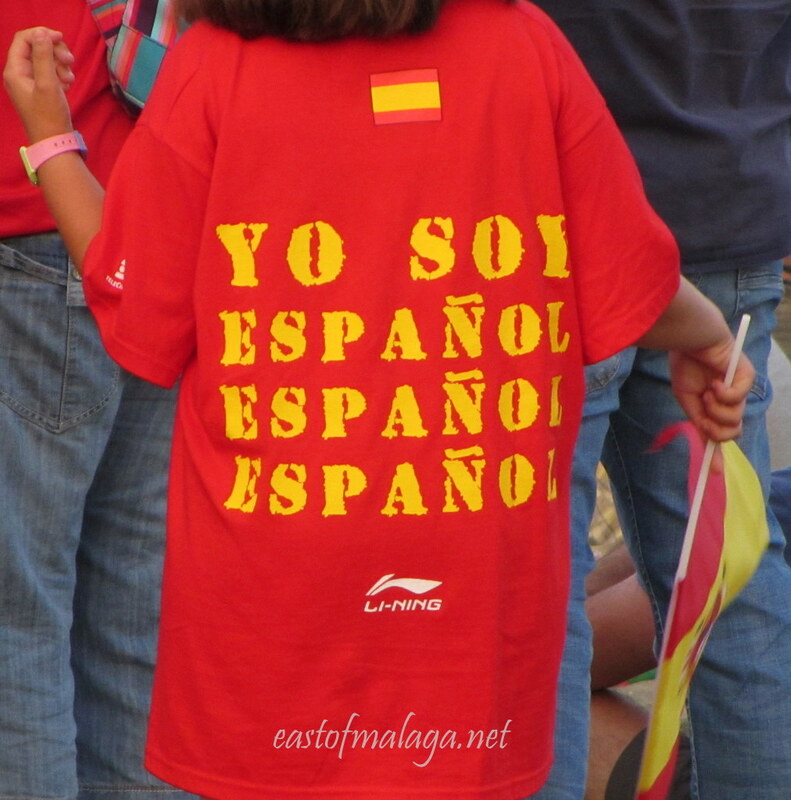 This young girl was wearing her Yo Soy Español (I am Spanish) tee shirt to watch the Spanish national team play football on TV during Euro 2012, at the La Noche de San Juan celebrations. Sunshine, the blue Mediterranean Sea and palm trees off the Balcón de Europa in Nerja, Spain. 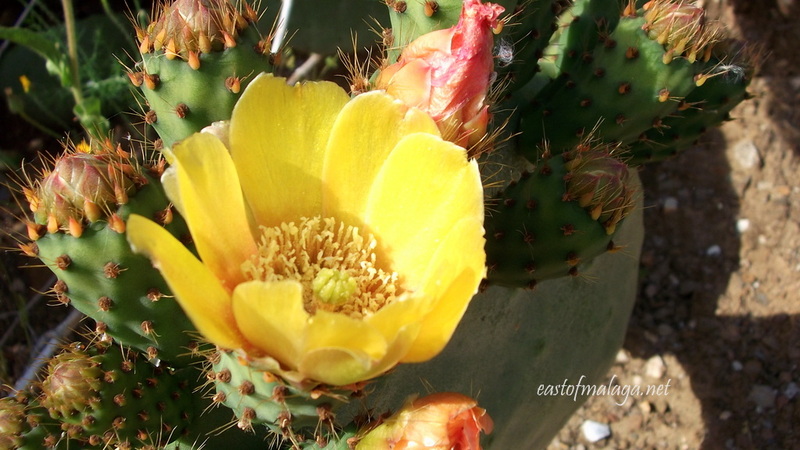 Stunning yellow blooms of a cactus plant. 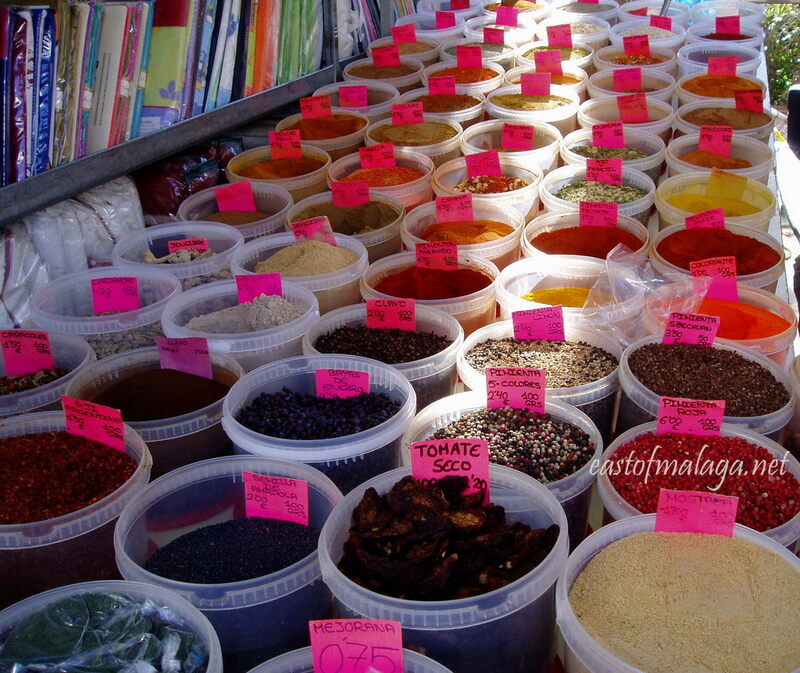 Herbs and spices for sale at a Spanish street market. Delicious paella, freshly-made each day over wooden fires. Street sign in the village of Torrox, which claims to have the best climate in Europe (mejor clima de Europa). This post is my response to the Weekly Photo Challenge: Foreign. This entry was tagged Andalucía, culture, East of Malaga, Europe, life, lifestyle, Malaga, photography, Post a week, Spain, travel, Travel theme, Weekly Photo challenge. Bookmark the permalink. I met an old Catalan guy at a bus stop in Argelès, France, who talked to me in Catalan. He doesn’t speak French even though he’s lived in France for 50 years. He told me he was from Andalucia, and said it several times, each time holding his right arm up over his head in a graceful gesture. He was very friendly, and shook my hand when we got off the bus. He was friendlier than old French men! It´s surprising how quickly one settles into a new country and way of life, once that big decision has been made. Fabulous quote! Nerja is one of my favourite places in your part of the world. mmm, those spices look amazing! and one of my favourite quotes – we painted four lines from Tolkien (including the ‘not all those who wander are lost) round our dining room ceiling in a house we once owned – we were obviously destined to travel eventually! gold lettering – by hand! took about 3 days! yes I loved it so much too – and then we moved house! 😦 never did it again … but maybe… one day……! A wonderful selection of photos to represent the challenge. I can’t believe the variety of herbs and spices. I would have to take many, many of them home with me. The photo with the arch that showcases the Mediterranean Sea is breathtaking. A super wonderful place to be. You, certainly, enjoy the fabulous culture that is all around you; a blessing indeed. My cupboards are stuffed with different herbs and spices, but I love cooking, so they are always being used. 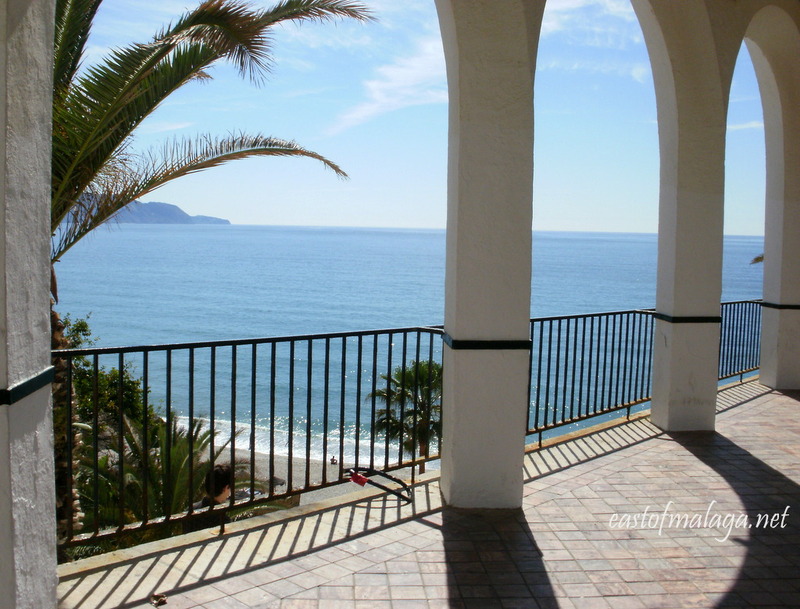 The archways are at the entrance to the area known as the Balcon de Europa (the Balcony of Europe) in the town of Nerja. 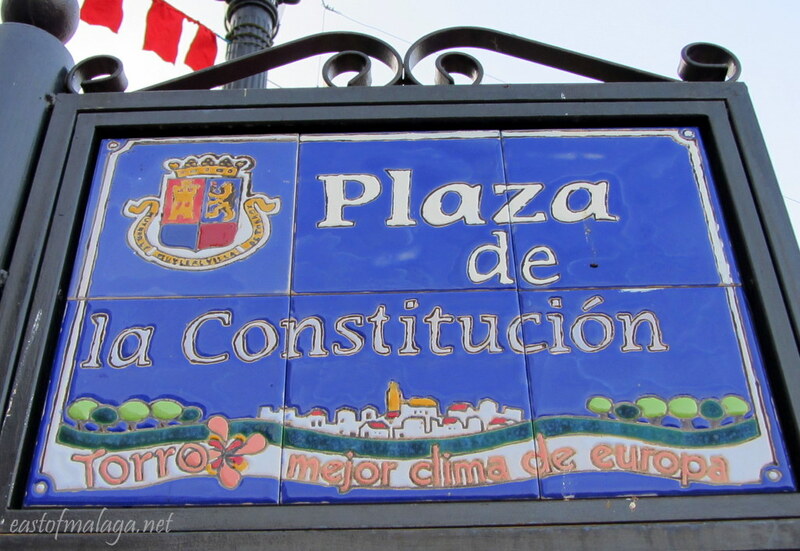 It´s the busiest tourist area in this part of the Costa del Sol, east of Málaga. Wow. The iew from the balcony is magnificent! And my mouth is watering just thinking about Paella! Ah yes, Nerja, I’ve been there a few times and even visited the caves! Also the place where I last got terribly sunburned because I forgot to put on enough sunscreen on my legs. It was also 100% cloudy that day. My legs peeled for months! OOHHH dear – well, I´m sure you won´t make that mistake again. Hope there was no permanent damage Amelie. I so enjoy all the beautiful photos of your enchanting home country (that map sculpture is a work of art), and you’re so right—places are only foreign until you get to know them. That’s why I had such a hard time coming up with something for this challenge. Yum. 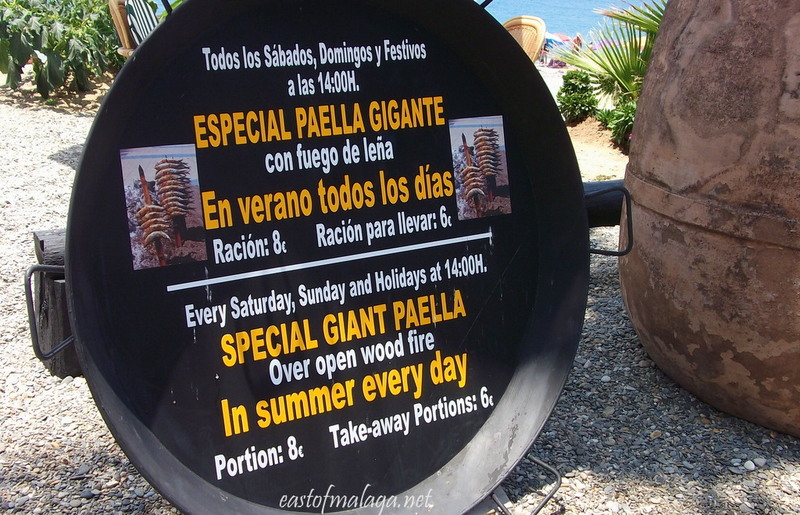 I’d love to try some of that giant paella! You have a lot of beautiful sights in your everyday life! I love to buy herbs and spices from these stalls – the wonderful aroma is fantastic! It’s amazing how quickly we get used to the differences and they become normal. I noticed it particularly this summer in Vietnam, Initially everything was foreign and remarkable but within a matter of weeks I found myself becoming blasé about many of them.